No one wants to think of the worst but fires do occur every day in homes and work places across the UK. It makes sense to be prepared and to take the necessary steps to ensure that your home or office is protected. 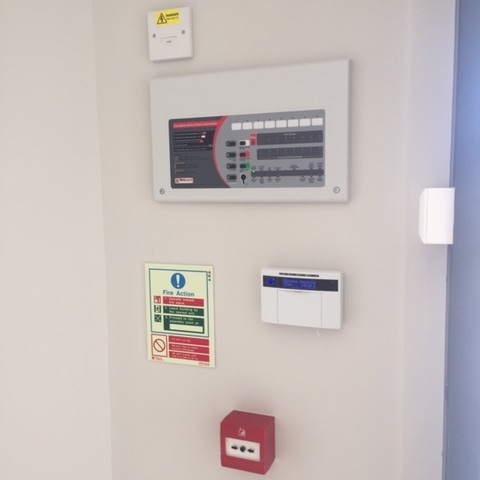 At McGill Electrical & Security Systems, our engineers are specially trained in the full design and installation of fire alarm systems, and it is a very important aspect of the work we do. Our approach is to look at each case on its own merits. We advise you on the best systems and layouts for your property – a three bedroomed terraced house has different requirements from an open plan office. We talk you through the cost implications and we ensure that the system, once installed, is well maintained and looked after in the future. Installing a fire alarm system is an important task and needs to be done correctly. Speak to the experts. Our experts will guide you step by step from the design stage right through to final handover and offer only industry leading advice. Know that your system is always at the optimal working condition. We can carry out regular testing and advise you on any necessary action. Give yourself, your family or your coworkers complete peace of mind and know that we are monitoring your fire alarm system for you. As set by the Fire Industry Association.